CUTEK is a unique penetrating oil that keeps wood and bamboo protected for many years and designed to enhance the natural color and grain of wood. 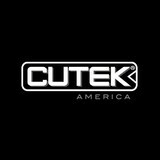 CUTEK is formulated to minimize warping, cupping and splitting, which means your exterior project lasts years longer. Cutek Extreme Clear fades over time, but retains the natural wood color, minimizing maintenance requirements. With a Cutek Colortone, the added UV protection keeps the natural color for decades. Cutek oils are available in 10 different Colortones that are formulated to enhance the natural character and beauty of wood without obscuring the grain. <a rel="nofollow" target="_blank" href="https://www.cutekamerica.com/resources/">https://www.cutekamerica.com/resources/</a> Please check for video series with wood preparation tips, application instructions, or just to find out why Cutek really is the best choice. Hardie Boys, Inc. specializes in the design and manufacture of cellular PVC exterior architectural millwork with a focus on British West Indies architecture. Some of our products include columns, brackets, louvers, rafter tails, soffit systems and railings. 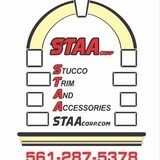 Stucco contractor with 30 years experience in Florida and the Bahamas. 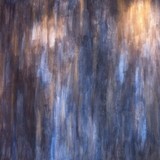 We specialize in all types of wall finishes from exterior stucco to venetian plaster. EasyGrass® synthetic grass landscapes enhance your property’s appearance, increase its utilization, conserve water, and slash maintenance costs. There is an artificial lawn solution for your property’s needs —even for heavy traffic areas— and a turf system for every application. 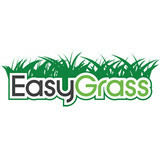 Discover the wonders of EasyGrass® artificial grass today. Broward Insulation cares about saving energy and making people comfortable in their home and business. We have been in south Florida since 1977 and have served over 50,000 customers. Customer satisfaction is our #1 goal. We look forward to helping you achieve your energy saving goals. The siding of your home is a hugely important factor when it comes to first impressions; a damaged or mismatched exterior can cast a negative light over a property’s entire aesthetic! If you need new siding installed, or your exterior is in need of repair, repainting or replacing, a Miramar, FL siding and exterior contractor can help you out. What types of siding services do Miramar exterior contractors provide? Wood siding needs more maintenance than less-expensive, low-maintenance vinyl siding, but with proper care it will outlast vinyl siding, which can fade and crack over time. Your Miramar, FL contractor might also suggest fiber cement siding, which is fire resistant and termite-proof and can come with a warranty of up to 50 years. Find siding and exterior contractors in Miramar, FL on Houzz. Narrow your search in the Professionals section to Miramar, FL siding and exterior contractors. Find out how long a Miramar, FL exterior remodeling contractor has been in business, view portfolios, read reviews and get contact information.